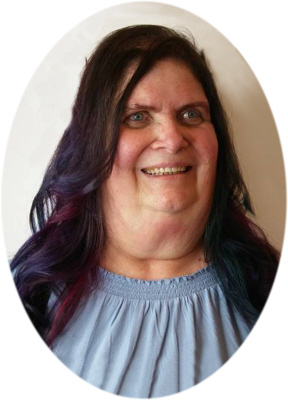 Debra Kay Kvalevog age 62, of Ovid, MI, passed away Wednesday, January 30, 2019, at Hospice House of Mid Michigan, Lansing, after a short battle with leukemia. A Memorial Service will be held at Smith Family Funeral Homes - Houghton Chapel, Ovid, MI, on Tuesday, February 5, 2019 at 4:00 P.M. Visitation will be held on Tuesday, from 2:00 P.M. until the time of the service at the funeral home. Debra was born in Jackson, MI, on February 25, 1956, the daughter of Philip K. and Ellabell (Clark) Bancroft. She married Theodore Wade Kvalevog on November 14, 1981; he passed away on December 3, 2013. She was an avid sewer, loved quilting and enjoyed crafts of all sorts. Debby spent many hours researching her family's genealogy. She was involved in Girl Scouts for over 25 years. Debby treasured the time spent traveling with her friend Jennifer; she especially enjoyed their trip to Gulf Shores. The pride and joy of her life was her grandchildren: David, Brooks, and Gabe Lohr, Dawson Kvalevog, and Rosella Kvalevog. She is survived by daughter Stephanie Eagle, son Tedd and Addie Kvalevog, daughters: Angella and Noelani, brothers: Stephen and Becky Bancroft, Philip Bancroft, Scott Bancroft, brothers and sisters in law: Robert and Sharon Kvalevog, Thomas Kvalevog, Larry and Karen Kvalevog, Lori and Barry Hardwick, Meri and Jeff Smith, Joye Tower, Steven and Fiorela Kvalevog, Kara and James Vines, Doug and Jessica Kvalevog. She was preceded in death by her parents, husband, father and mother in law Henry and Mary Kvalevog, brother William Bancroft, sisters and brothers in law: Christina, John and Tina Kvalevog and Marlene Kvalevog. Memorials may be made to the wishes of the family. Online condolences can be sent to www.smithfamilyfuneralhomes.com. The family is being served by Smith Family Funeral Homes, Houghton Chapel, Ovid, MI.